The Pickwick Papers, Volume 1 is Charles Dickens' first novel, written under the pseudonym of "Boz". These related serial adventures center on Samuel Pickwick's and his friends' travels through the English countryside. Audio performer Patrick Tull shows genuine enthusiasm for the tales. His talent particularly shines when he creates characters' voices, each of which brims with a unique accent, pace, and pitch. From spinster aunts and wily servants, to innkeepers, actors, and widowed landladies, Tull breathes life into them all. Meet Mr. Samuel Pickwick, luminous presence, general chairman and member of the Pickwick Club, an organization devoted to meeting good friends, sharing good stories and spreading good cheer. Join Mr. Pickwick and his friends Mr. Snodgrass, Mr. Jingle and all the rest in Part One of their adventures, which include: the first day's journey, an old-fashioned card party, the action of Bardell against Pickwick, and Christmas. I listened to this performance as an audio cassette about two years ago. It was the best recorded book I listened to that year. Patrick Tull has a wonderful sense of the rhythm, variety and force of Dickens' prose. The book itself is wonderfully full of life and humor. I never understood Dickens' humor until I listened to Pickwick Papers. I've never known Tull to give less than a superlative reading. 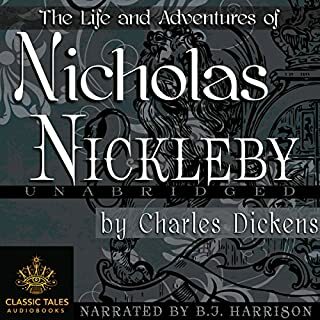 After thoroughly enjoying Patrick Tull's readings of the Aubrey-Maturin series, I decided to listen to his rendition of Dickens' most humorous novel. Tull is superb, breathing life and wit into the naively pretentious members of the Pickwick Club. His sixth sense for the timing and enunciation of Victorian prose is such that one will not regret subscribing to every 19th century British classic he reads. A few words of technical caution. The conversion of this reading from Format 1 to Format 2, while understandable, has the tonal quality of listening to a Winston Churchill WWII speech recorded from an old tubular RCA home radio. I almost felt embarrassed laughing out loud to a Dickens novel, but this was a great reading. As good as any contemporary humour. 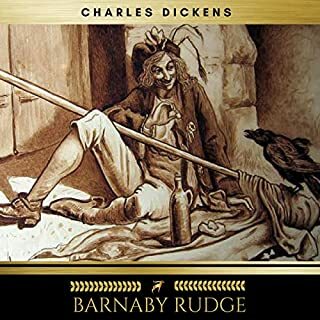 I re-downloaded the Pickwick Papers at level 3 after suffering through the low resolution version a few years back, and was delighted with the sound quality this time around. The Pickwick Papers is one of the funniest books I have ever read and really showcased Dickens' immense talents. 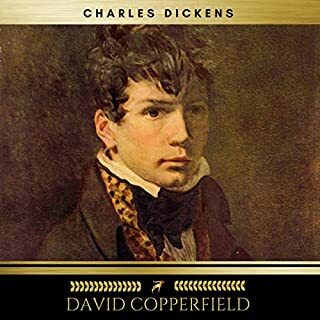 My previous readings of Dickens were of the more serious variety--Tale of Two Cities, Oliver Twist, Christmas Carol--which are wonderful themselves, but this was a treat. I don't think it could have been read better than by Patrick Tull (of Patrick O'Brian's Aubrey-Maturin fame). He proves that sometimes a book is better in audible than read off the page. His enthusiasm and accents really bring the words to life. Brilliant! His loss is greatly felt. Hi.This is my first Audible reveiw.I felt the need to write a review on this fabulous recording.Reading the previous reviews rightfully negative about the abysmal sound quality of this program when it was a 2,I'm ecstatic to be the first person to review it now that it is rightfully been presented in the far superior 4 format.This program now sounds as good as anything I've heard on Audible.I only hope that some if not all of the previous reviewers have already or will retry this program.It truly is one of the greatest audiobooks ever made.Mr.Tull's energy and talent for humour are second to none.I agree that the story only really kicks into gear with appearence of Samival Veller but it never waivers after that and neither does the good Mr. Tull.The three Christmas chapters are a particular joy(I listen to them every year around this time).Sorry for the lengthy review but I truly love this book and especially this recording of it. as i come to the end of 'the pickwick papers' i recall that there are some books whose end i dread because of a relationship i have developed with its characters that i don't want to end. i first read this book about twenty years ago and remember the same feeling then. less of a page-turner than, say, 'a tale of two cities,' and lighter than his social commentaries (just about everything else! ), the p.p. are, i suppose, 'enchanting.' i am already thinking ahead to the time in the future when i will see fit to read/listen to the misadventures of pickwick, tupman, snodgrass and winkle again. the audio quality (recorded in format 1, converted to format 2 ) was acceptable, i listened to the first half to two-thirds in my car while driving across canada (windows up, volume moderate) and am finishing up on bose headphones. the reader is very good to excellent. occasionally, i had some trouble understanding him by some combination of accent and or sound quality, but there were not enough of these moments to take away from my over-all enjoyment of his expressive voice and characterizations. that's about it ... should i have offended anyone, i would like to point out that my comments should be understood in their 'pickwickian sense' and all, i trust, will be well again with the world. Patrick Tull is a perfect narrator for this book: his bluff, blustery, energetic style matches Dickens' comic prose to a T. It's an episodic book, with a very thin overarching framework: travels and adventures (mostly misadventures) of Mr Pickwick, his fellow club members, and the manservant to end all manservants, Sam Weller (or Veller as he would say). Every so often Dickens adds a tale, usually a ghost story or some other macabre event, related verbally or on paper by one of the participants. 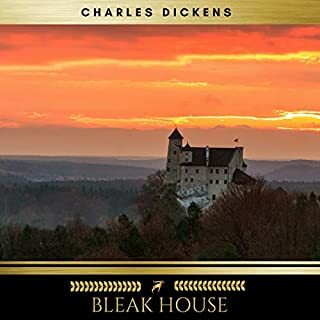 It's Dickens at his absolute comic best: high spirits, wacky characters, impossible misunderstandings all around; and it all ends well in this best of all possible worlds. Tull's many voices, giving brisk life to every character, are astonishing. Really looking forward to this one. But a big mistake. Quality of this recording is really really bad. I gave this more than an hours listen, then I stopped and gave up. As good as Tull's reading and characterizations are, at the highest format available (2), this recording makes Tull sound like he is talking through 3 pairs of socks! To the point of its being unintelligble. To add insult to injury, this title is split in 2. I don't know what deal Audio struck with Recorded Books for this recording but charging twice as much as most of the other similar length (~30hr) Dickens titles at half the audio quality is, at least by my reckoning, extortionate. At the very least you should consider this only one title. I enjoyed it so much, I immediately replayed it. This version of the Pickwick Papers has brought this fine book to life with such a well performed narration. It may well be more costly than other versions but it is worth the money. This is a superb reading. One of the best readings I've ever listened to. Thoroughly recommended. I've tried to read this book many times, but failed to get to the end. With this audiobook, I managed it, and thoroughly enjoyed the experience. The narrator brings every character to joyful life. Recommended! 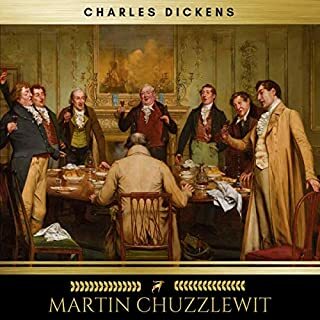 This is not only a superb reading of The Pickwick Papers, it's one of the best audiobooks I've heard. The novel contains some of Dickens' broadest and most colourful characters, and Patrick Tull does ample justice to them all - including the women! 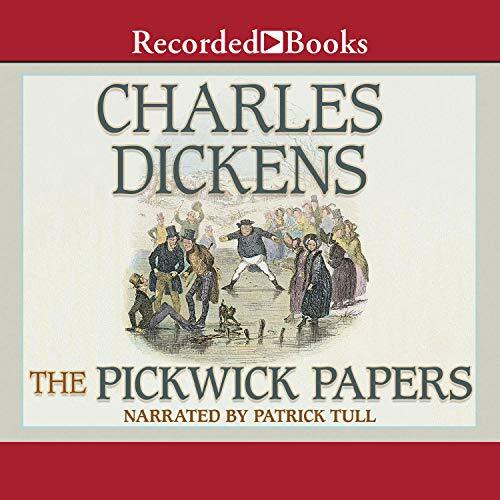 I have struggled before now to "read" Dickens but am hugely enjoying listening to the Pickwick Papers - fantastically read. My only difficulty is not laughing out loud on the train in the morning! This really is a very funny book. I had tried to read it many years ago, but found it rather heavy going, given the reputed lightness of the story. On the page Dicken's prose seemed rather ponderous at times. I suppose I was very young and I wasn't quite getting all of the tongue in cheek nuances of the story. This spoken version is a real delight. 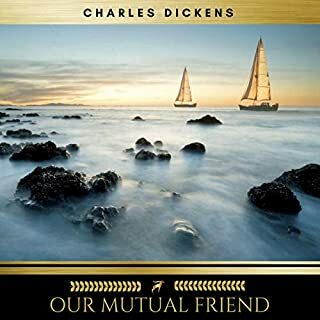 The narrator's multifarious voices manage to bring out all the humour and ironies of the situations and relationships, and Dicken's reputation for realistic and telling dialogue is clearly vindicated. Whether characters or caricatures, the various personae are still recognisable among us. If you enjoy the humour of 'Dad's Army' or 'Last of the Summer Wine' you'll probably like this.